There is no doubt about it: Sarah Palin is a hot topic. Even though she quit as Alaska's government and lost the election to become vice president, she continues to make news. Think about Chapter 9 (Government and Economy) and think about Palin in terms of the types of power and authority. Which type of power and authority do you think sociologists would claim Palin has? If you do a websearch of Sarah Palin, you quickly find out that there is little sociological analysis out there. Yet. But there are plenty of bloggers and commentators lined up on either side of the Palin line-in-the-sand. Every week she seems to do something else that grabs the nation's attention. Below are some of the more recent issues in which she has become involved. Note that these articles are highly partisan. As you read, analyze the articles sociologically and try to keep your own personal, non-sociological opinion about Palin out of your analysis. You might find it useful to think about the articles in terms of the three sociological paradigms. For example, what would SI folks say about Palin's performance and the messages she is sending? 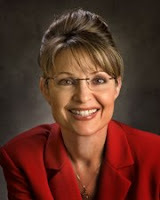 What would SF theorists claim about order and stability and Palin's rhetoric? What would CPC thinkers note about the essential division of America into pro-Palin v. anti-Palin, with little middle ground available? How does Palin's PAC (Political Action Committee) figure into the debates about government, elections, and the economy? If you have a different political blog that you follow, please feel free to email me with the link. If it seems to be of general interest, I'll post it to our class blog.